Welcome to the Physiotherapy and Acupuncture Clinic, my name is Mary Fleming I am a physiotherapist and registered acupuncturist practitioner. The clinic is situated in "Bodyline Health", there is parking right outside the clinic. The clinic is located opposite the Heidelberg Golf Club and the Lower Plenty Hotel. When you come for your first appointment we will spend 45 minutes discussing and treating your condition. At this session we will work out a plan of treatment, exercises and how long this may take, occasionally one session is enough. Treatment may involve many different techniques, including hands on therapy of mobilization, massage, to ultrasound, heat, TENS and acupuncture (if indicated). Exercise and prevention are also a large part of treatment to ensure the same problem does not occur again. I have a special interest in the management and recovery of joint and muscle aches and pains, whatever their cause, it may be lifestyle, life age, work, sports or an injury. These can occur at any time in our life, physiotherapy and acupuncture can assist, whatever your age to help you return to those things you love to do. Mary Fleming has been a physiotherapist for 30 years. She graduated in Melbourne in 1987. 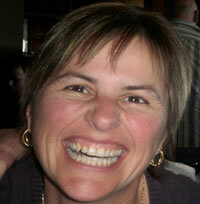 In 2003 she completed a masters of physiotherapy from the University of South Australia. In 2011 she completed an acupuncture masters from RMIT. She has worked in the private and public health systems in Canada, England and Australia. She has had experience with many types and ages of patients with conditions from orthopaedic nature, nerve and stroke, sporting injuries, broken bones and joint replacements, arthritic conditions and pregnancy related joint and muscle pains.